I am sorry that you get annoyed but I have NO idea what you are talking about....? 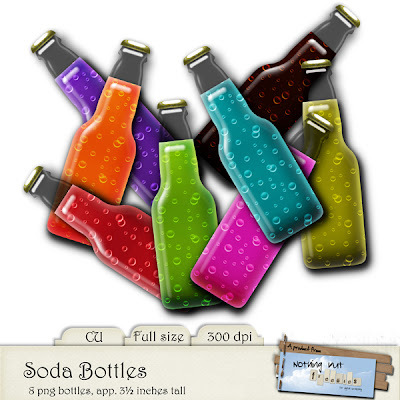 The soda bottles are adorable! Thank you. cool freebie! thank you so much!!! Thank you so much for this post. I want to let you know that I posted a link to your blog in CBH Digital Scrapbooking Freebies, under the Page 6 post on Mar. 12, 2012. Thanks again. What Anonymous meant was that you have to type in the generated words to be able leaving you a comment *lol* My "words" for example were "thong ipstai"
So, so glad you stopped by ... you always make my day. I am going to go exploring today on your site and capture all your wonderful surprises. Have a great day. Hugs, Sue @ grands9creations.